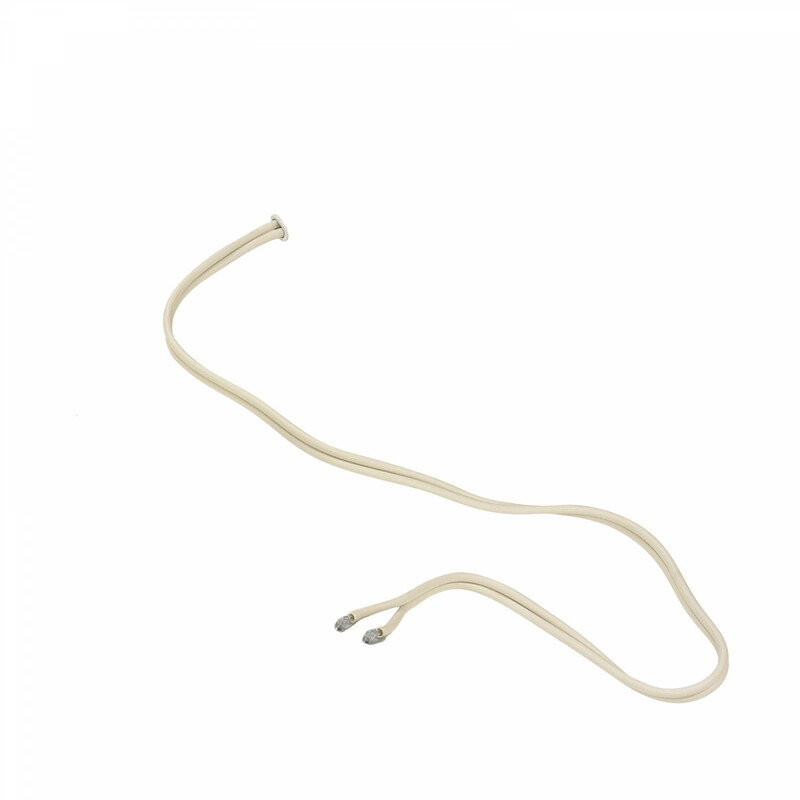 Find replacement parts for the Drive Med Aire Alternating Pressure Pump and Pad System to keep up with your therapy. 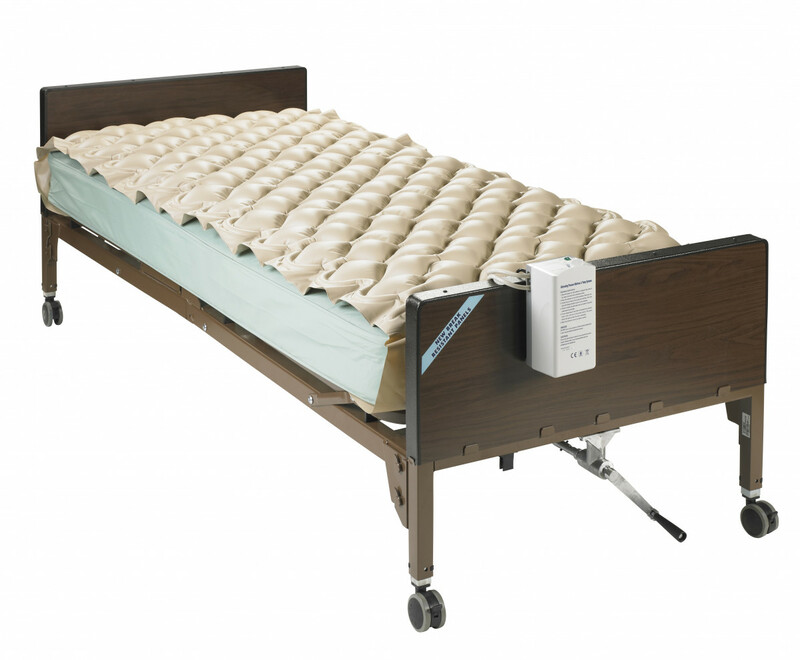 The Med-Aire system is a cost effective line that provides alternating pressure to relieve and prevent bed sores. 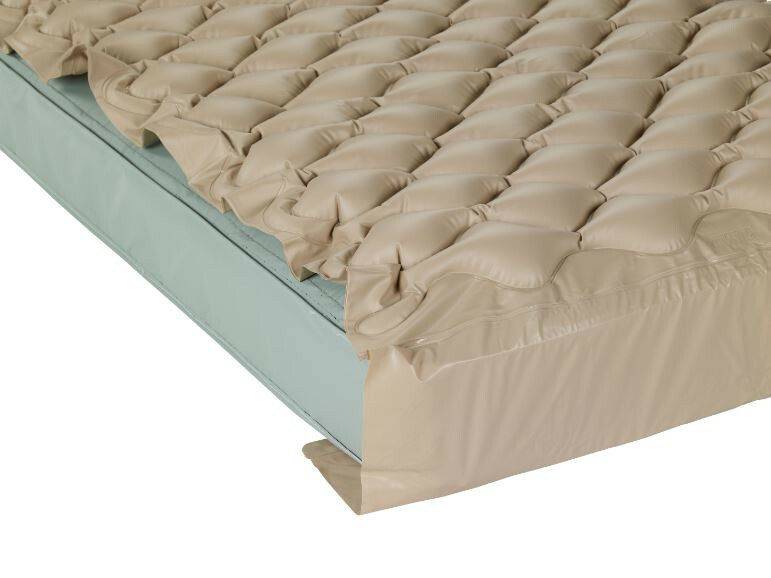 Drive manufactures two replacement bubble pad designs: with or without end flaps for tucking underneath the mattress. 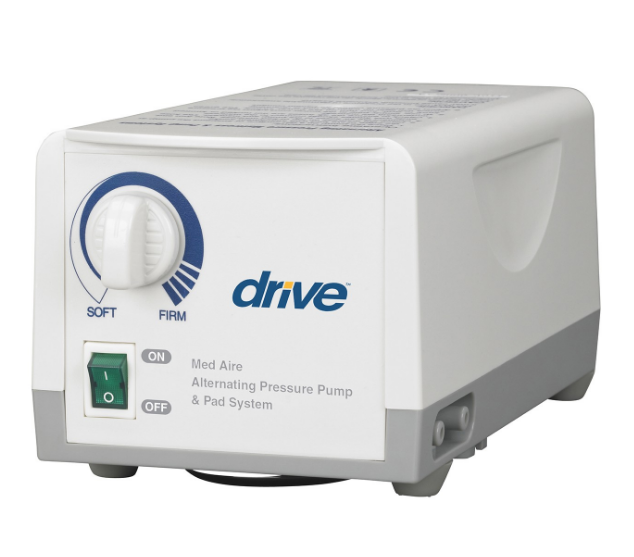 Drive Medical 14005E Variable Pump offers 220 Volt with variable settings from soft to firm to customize pressure to each patient. 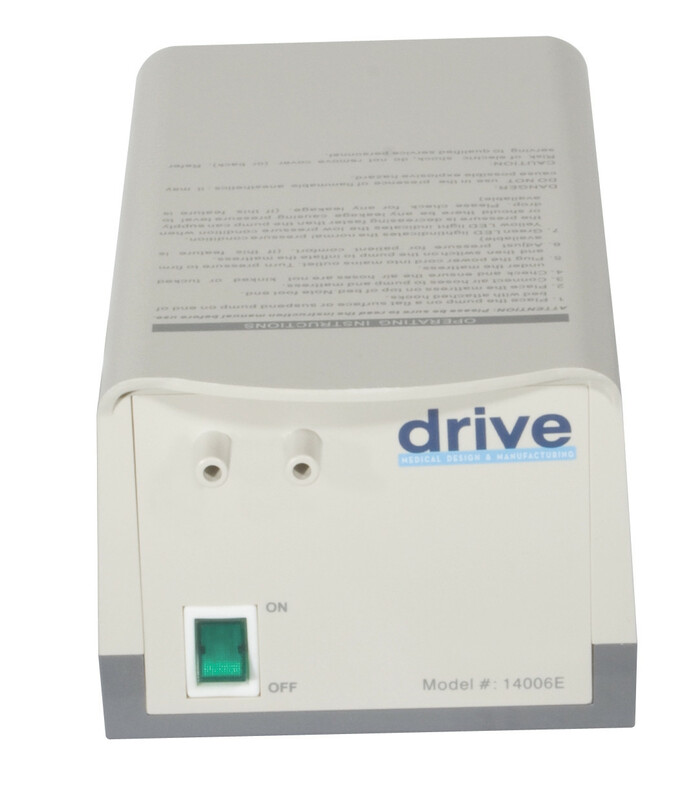 The Drive Medical 14006E Fixed Pump also offers 220 Volts at a fixed pressure. 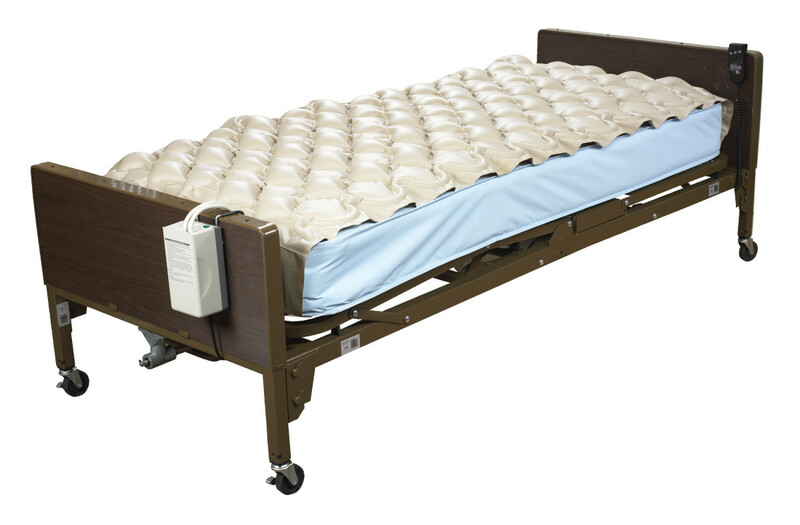 You may also want to check out other overlays manufactured by Drive Medical with foam technology to prevent heat buildup while redistributing pressure for the prevention of pressure sores. these pads are great. I have been replacing pad only as I have the pump already. ive found if you only go up to medium pressure it will last longer. its the high setting then bending mattress in acute angles that will break down the bubble effect of the mattress. I haven't tried a product from this company/website, but there is a product that I was looking for on here that looks just like on I ordered from somewhere else. I checked on Overstock, for someone in these reviews said could get it there cheaper, and what I saw was about 2 to 3 times more expensive. This one is cheaper and looks to be the same item. THE PRODUCT WAS PUMPED UP BUT WOULDN'T HOLD THE AIR. I HOPE I AM ABLE TO RETURN IT. Wonderful product that allows me to sleep in a bed, rather than a recliner, for the first itme in two years. I have an inoperable back condition that is coupled with chronic and severe pain. I have been sleeping in a recliner (rather than a bed) for over two years because the bed makes my back so sore I cannot move the next day. I did a lot of research, looked up a lot of information about alternating pressure pumps, and came up with a list of questions and concerns related to my personal issues that I weighed against the features of the bed... I contacted Customer Service several times, and the representatives answered my questions and.concerns completely and with professionalism. The product did not disappoint. I like the way you can control the hardness or softness of the mattress by just turning a switch. The pad stays in place and doesn't shift or slide off the bed. It is quiet; it inflates very quickly. Best of all, I am now back to sleeping in my bed, and sleeping for an average of 5-6 hours nightly. It is more than I had even dared to dream about. I would recommend this probably with no reservations. I think it is a tremendous product, and I would recommend it to other back patients 100%. Received this right after ordering. Went together quick and easy. Works well. the pad is comfortable. it takes awhile to inflate. 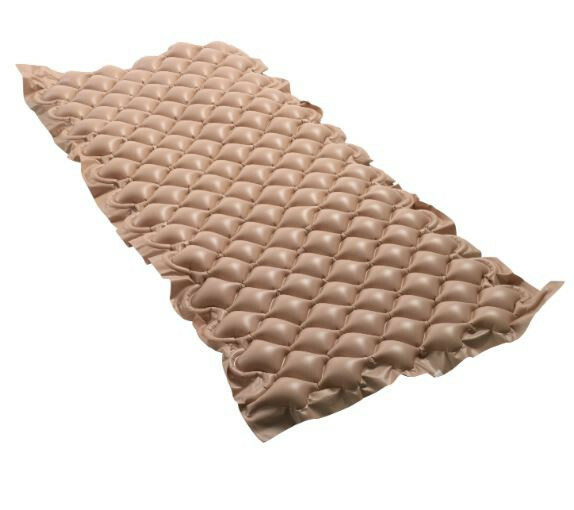 however, I'm not sure if this is a norm for this product, but after each use, the next morning the mattress has no air and needs to be pumped again. my mother has only had this purchase for 3 days and I'm not happy. probably will return it. It's a great product! Thanks! I ordered this product because I was tired all the time from having to wake fully to change sleep positions. With the alternating pressure, I'm not lying still until I get pressure-related pains. I don't have to move as much, and I'm able to sleep through the night and feel much better in the morning. Wile the green "on" light is a bit bright, I can place the controller where it does not bother me. The pump is very quiet; it produces a low-level white noise that is easy to sleep with. 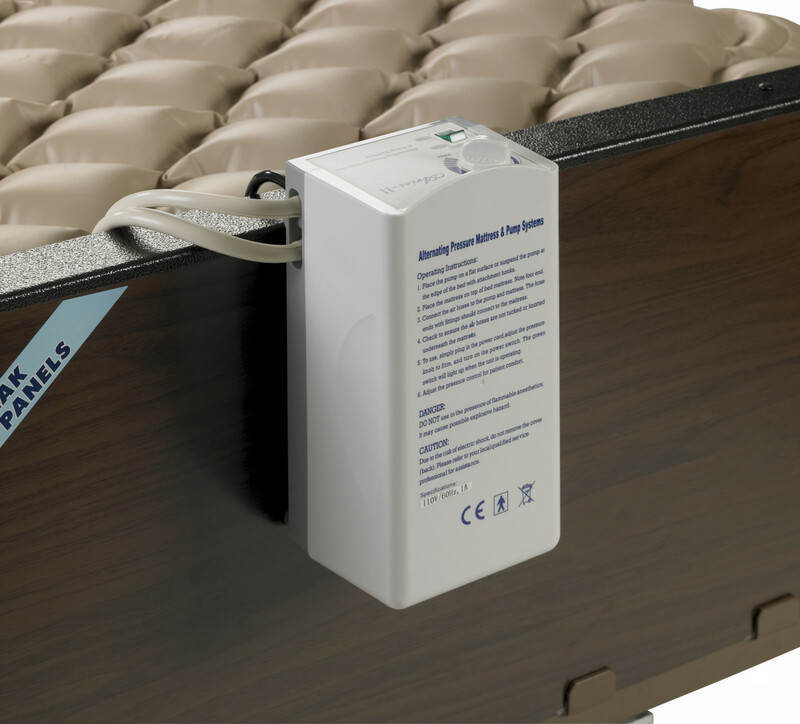 The mattress pad is especially designed to assist for the treatment and prevention of bed sores or pressure ulcers. This is achieved through maintenance of dry and aerated sleeping surface. 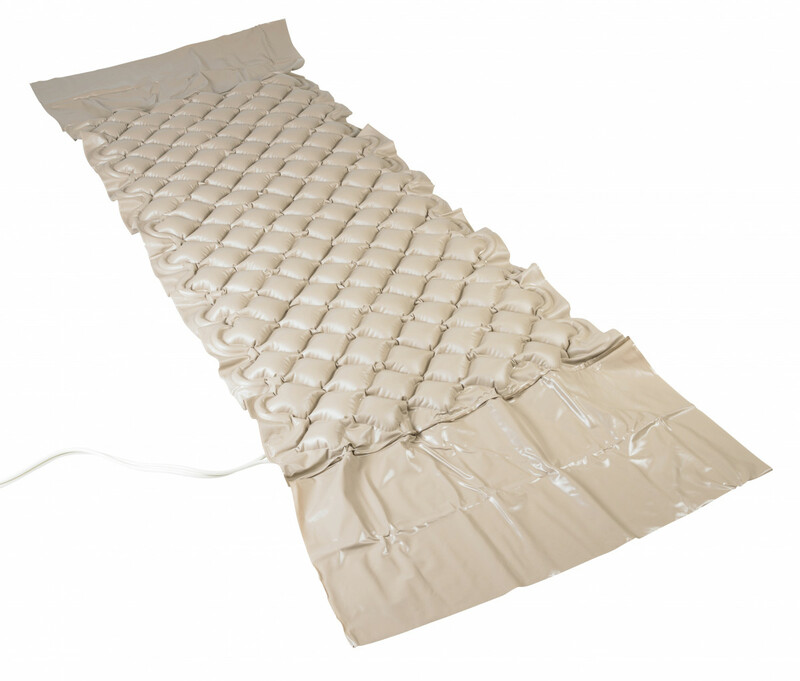 The benefits of this pad include improved circulation of air and relief of pressure. It also prevents build up of perspiration as it allows the air to reach the skin.